A spontaneous notion to do something that doesn’t fit an individual’s personality is often tossed off as a quirky impulse, a fleeting short-circuit in the brain. Those instinctive moments are inexplicable for most of us. For a select few, such as J.D. Blackfoot, they discover a connection to a dramatic past-life event and how that experience in another time and place mingles with their current existence, taking them on unplanned adventures.The thing about Blackfoot, whose birth name was Benjamin Franklin Van Dervort, is that his current life didn’t change because of one defining incident. When his story is examined carefully, one begins to see that he was nudged bit by bit towards the path he’s on. Who did the nudging? Who knows! But the crucial steps that made him the person he is today are his perception, even though he might not describe the process that way himself. Of course, perception is reality, if only in the eyes of the beholder. As a senior, he transferred back to Laurel High School, driving 20 miles each way daily, so he could graduate with his friends. He got into a school singing group and took a job as a veterinarian’s assistant, a position he held for the next two years. After graduating from high school, he joined the Maryland National Guard, but since he was again spending most of his time in Bladensburg, where he had few friends, he became something of a loner. Then, one Saturday, he was walking past a music store and saw a $78 Kay guitar and amplifier in the window and bought the package. He also purchased a chord chart. Immediately, he took his treasures home, learned three chords and wrote two songs before the weekend was over.After he had mastered the Kay guitar enough to play tunes, Blackfoot and a buddy found a third player and formed a trio called the Starfires. The trio played one gig and broke up because the drummer moved to California. Music then became a private thing for the young man. He didn’t share it with anyone, didn’t attempt to join another group, just kept on truckin’ for the next couple of years with no particular direction in mind. It was after Blackfoot settled in Ohio that he started a series of jobs, including a sales position in a haberdashery, driving a Pepsi truck, becoming a bug exterminator for Orkin and finally, in 1966, being taken on as an agent for Prudential Life. As an agent for the insurance company, he seemed to have found his niche. What he discovered selling insurance in this first of two cracks at it was that people really liked him. They found his honesty charming and his professionalism comforting. Slowly, his shyness was replaced by a subtle desire to please, the kind that is never mistaken for guile. Even so, such a career path provided little satisfaction. It just didn’t feel right to him. Blackfoot, who was still Benjamin Franklin Van Dervort, had already grown tired of the insurance game, and had no misgivings about giving it up. He was certain that he could fill the band’s need. The Ebb Tides thought so, too.So with his new 12-string Blackjack guitar and his recently discovered self-confidence, he set out with the Ebb Tides on what turned out to be a successful tour of the Midwest and parts of Canada. By the time the tour concluded, he knew what he wanted to do with his life. He just didn’t want to do it with a band called the Ebb Tides. Not that he didn’t like and respect his bandmates. In fact, he invited them to join him on what he considered to be a new venture. He already had recording aspirations so he visualized himself as the principal songwriter and frontman. To draw attention to the proposed ensemble, he sensed that the band had to have a name that was distinctive and memorable, and chose Blackfoot. This was years before Ricky Medlocke’s band of the same name appeared on the scene.When asked why he had picked Blackfoot, J.D. will say he hasn’t a clue, which is probably true. Like the complicated songwriting process that seems to grip him so easily, he has no idea how or why it happens; it just happens. He just goes with the flow. Nevertheless, once he picked the name, he was determined to stick with it. To him, it was a bit of inspiration plucked from the air. Why he became J.D. Blackfoot was in part because his bandmates in the Ebb Tides rejected his offer to be in his band. They suggested that his talent didn’t match theirs, and they weren’t about to throw their lot with someone with such limited musical experience. But the fact was that they really didn’t know about his songwriting abilities.So, instead of a band called Blackfoot, Benjamin Franklin Van Dervort abandoned his birth name, added J.D. to what initially was a stage name and became a distinctive musical personality, a very special songwriter who was about to attract fans across the planet. What his bandmates couldn’t possibly have guessed was that their former lead singer would find an angel who was willing to put up the money to make a three-song demo and a manager who had the ear of major record labels.During this period, the Ebb Tides dissolved. Another frontman was found and a new band called The Tree was formed. Members of The Tree decided to enter a battle of the bands contest sponsored by a local Top 40 station in Columbus. Their thinking was that if they won the contest, it would lead to a recording contract. By the time this took place, Blackfoot had recorded his demo and was waiting to see if his manager had nailed down a deal with a major label. Since thumb twiddling didn’t suit his personality, he decided to give The Tree a helping hand and came on board just for the contest. Two frontmen with distinctly different approaches alternating as the lead singer was a fresh approach in 1969 and The Tree won the battle of the bands hands down. Sadly, there was no record deal forthcoming. Blackfoot, however, had inked his contract with Mercury Records shortly before the contest ended. It happened less than 30 days after his demo had been recorded. The lead number from his three-song demo – “Who’s Nuts, Alfred?” – would become a regional hit. So again he asked if any of the musicians he had toured with wanted to go with him, this time as members of the J.D. Blackfoot band. Two did. The others went their separate ways. Blackfoot wasn’t yet familiar with the perfidy of the music business. Be that as it may, he had been in sales and knew the value of a dollar. 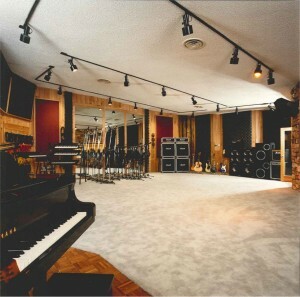 So, figuring to impress his label when he was to record his first album, he did his best to keep expenses at a minimum. The album, 1970’s “The Ultimate Prophecy,” which now demands top dollar if you can find a copy, was done in two takes over a single weekend at Mercury Recording in New York. In spite of Blackfoot’s efforts to do what had to be done on the cheap, one member of the band figured he, personally, was already a rock star. So, much to Blackfoot’s dismay, he ran up bills charged to Mercury while in New York. Then, this same player decided that he was too good to carry his own equipment. Immediately, Blackfoot had him and his equipment out in the street. That wasn’t the end of the nonsense. Before long, the other musicians who had recorded the album with him, none of whom had been signed to Mercury, were deciding who would do what in the J.D. Blackfoot band. Although dismayed by their arrogance, Blackfoot didn’t fire anyone else. He just walked away, letting the would-be stars decide what to do on their own, but not in his band. At this juncture in his life, he probably hadn’t decided that he had someone or something guiding him. Even if he had surmised such a possibility, it didn’t take a spiritual nudger to determine that his former bandmates had done him a huge favor. By refusing to join him in a band called Blackfoot, he didn’t have to deal with the constant infighting that is the bane of many bands. As J.D. Blackfoot, musicians would come and go, and his musical career would advance or decline based on his decisions alone, and kismet. After Mercury released “The Ultimate Prophecy,” Blackfoot, then 26, decided to return to Laurel, Maryland, to visit an ex-girlfriend, who shared an apartment there with another young woman. It was while sleeping on the ladies’ living room couch, that Blackfoot had a nightmare, which eventually created focus for his life. It was 5 a.m. when Blackfoot was jolted out of his sleep with mental pictures still vivid in his mind. He was shaken by the experience because it was as if he had sped back in time and witnessed an event that had happened 96 years earlier. The event he “saw” occurred June 25-26, 1876, when Col. George Armstrong Custer and most of his troop were annihilated by the Sioux and the Cheyenne, led by Sitting Bull and Crazy Horse, in a fierce engagement in southeast Montana. Because his neck hurt, Blackfoot reached back to rub it and was surprised to find the area wet and sticky. When he looked at his hand, it was covered in blood. Then, suddenly, the aroma of pine filled the room, not pungent like a household product but sweet like the smell of a forest in the Big Sky country. Although “The Ultimate Prophecy” had been released in 22 countries, its fate was determined by the 20-minute length of its primary song. In Cleveland and throughout central Ohio, the album, with its first single — “One-Time Woman” — was a monster hit, big enough to go platinum six times over if it had sold as well throughout the rest of the United States. It didn’t. It did, however, become a huge cult favorite in other areas, mostly college towns, where the record was played. It other areas, it did little or no business. The thing that gave it a coup de grâce, however, was a premature move by Blackfoot. When the man who had signed Blackfoot to Mercury left the label for Vanguard Records, he coaxed Blackfoot to do the same. Blackfoot considered it because his album had been spotlight picks by Cashbox, Record World and Billboard. Yet the company put all of its efforts behind an up-and-coming British band called Uriah Heep. He knew it was a logical business decision made because Uriah Heep was scheduled for a summer tour with Rod Stewart and Buddy Miles. Even so, it seemed unfair. Blackfoot’s determination to make the move to Vanguard might have been a good one if his timing had been better. No sooner had he begged off Mercury than the man who had persuaded him to make the change left Vanguard before he had a chance to sign Blackfoot to the label. As a result, the performer was suddenly without a record company. What was just as bad was that because he had pulled himself away from Mercury, his album, “The Ultimate Prophecy,” was taken off the shelves. During this period, Blackfoot had met and married a girl from New Zealand. Even so, it did lead Blackfoot and his bride to travel to New Zealand in 1972. They expected to stay for a month, and were there for a better part of a year and a half. While there, he got a job as a promotion manager for Pye Records, finished writing “The Song of Crazy Horse” and recorded the album for Pye. When he returned to the States in 1974, he signed with Fantasy Records, which then assumed the world rights for “The Song of Crazy Horse” with the exception of New Zealand. Since the album had been released in New Zealand a month after his departure, he had no way of knowing that it was to become the Album of the Year in that country. It wasn’t until 1975, when he was already recording “Southbound and Gone” for Fantasy that he discovered that he had received the award. It turned out that 1974 was to be a critical year for Blackfoot. Not only had he been signed to Fantasy, which had been the label for Creedence Clearwater Revival, then one of the hottest acts in the nation, but he was going to be discovered by Ron Stevens. Stevens was thedrive-time disc jockey for St. Louis’ powerhouse rock station K-SHE Radio. A friend of Stevens found a copy of “The Ultimate Prophecy” at a tent-sale benefit. He admired the cover and purchased the album for a dime. When he played it, he liked it so much that he brought it to Stevens. Stevens agreed that the 20-minute title cut was something special and took the album to his boss. The station manager gave it a thumbs up and put it on the air. Almost immediately, “The Ultimate Prophecy” became a hit throughout K-SHE’s listening area.Of course, it was far too late to mass market a four-year-old out-of-print product, but it was a great introduction to “The Song of Crazy Horse,” which soon was to follow. The combination of the two epic title songs expanded Blackfoot’s fan base to a new and important region. In fact, it would be at St. Louis’ Kiel Opera House in a sell-out K-SHE-sponsored concert that Blackfoot would record his 1982 “Live” album. Fantasy was basically a jazz label. After Creedence left the company, the only two pop acts signed were J.D. 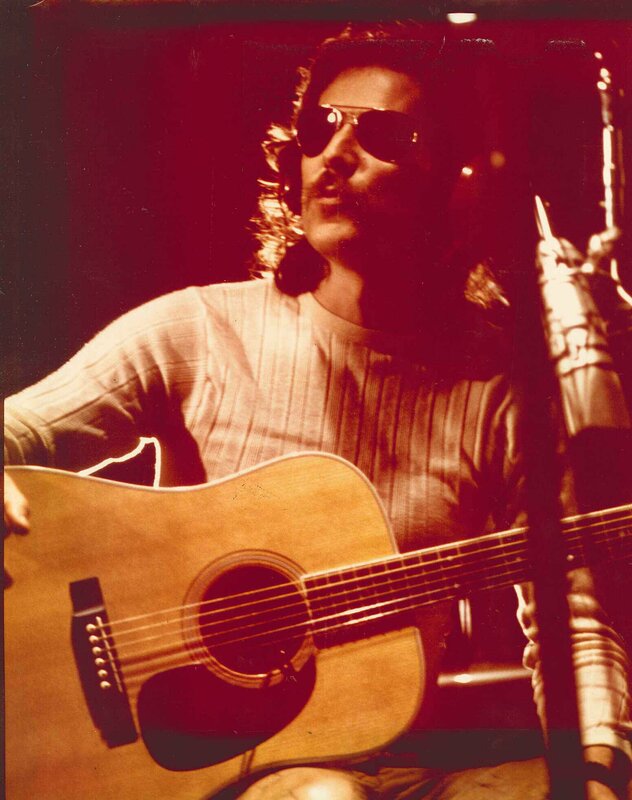 Blackfoot and Country Joe McDonald. McDonald, who was still with Vanguard Records as Country Joe & The Fish, kind of stopped by for a cup of coffee and to produce a solo album for Fantasy. Later, he and The Fish would do their 1977 “Reunion” album there. Unlike Creedence, which had hit the floor running and in five years had produced 14 hits for the label, J.D. Blackfoot was pretty much a new act. In spite of his history, he needed help to break into the mass market. It was not forthcoming. Either the company’s promotion staff didn’t know how to break a pop artist or decided that such an act on their label was an aberration and would go away if they just ignored him. Of course, that’s exactly what happened.In spite of what wasn’t done, “The Song of Crazy Horse” established Blackfoot in a niche market, those who appreciated his extended musical stories. It also gave the singer-songwriter a foundation. In the years that followed, he would become an advocate of Native American causes, often doing benefits to help bring attention to some related movement.Without a record deal, Blackfoot’s moment in the sun began to dim. He had his rabid following, of course, but it wasn’t enough to sustain him. Consequently, in 1977, he found a backer who moved him and his family to Indianapolis, but then the backer backed out. With his cash flow gone, Blackfoot needed to make a living. So he went back to Prudential and applied for a job as an agent. In Blackfoot’s first three months with the company, which was the final quarter of 1977, he sold $1 million in insurance and received the company’s Remarkable Rookie Award. In the following three months, which was the first quarter of 1978, he sold another $1 million, and was awarded the Super Remarkable Rookie Award. Right then and there, he determined to set out again and try to make it in music. He never glanced back. 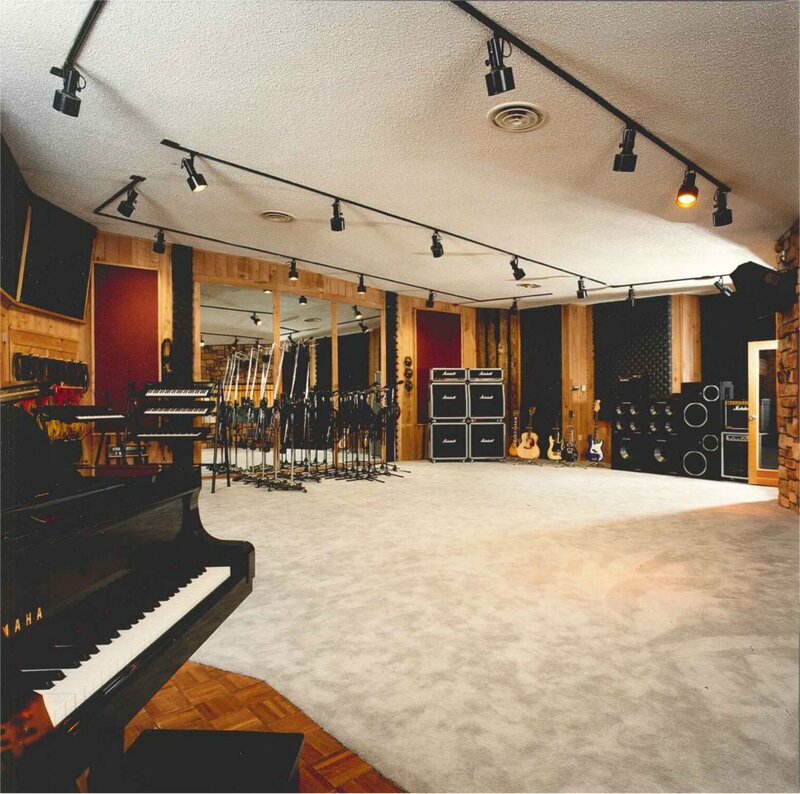 A decade later, in 1988, Blackfoot and financier Robert Liebert opened Sisapa Records in Columbus, a company that had one of the world’s premier recording studios. It was during the Sisapa period that he and first wife, Pamela Hutchinson Van Dervort, finally went their separate ways. When Blackfoot left the recording company, without missing a beat, he began performing again. In the years that followed, J.D. released a credible nine additional CD albums, bringing his total album count to date to fifteen, consisting of two EP’s, six single albums, six double albums and one triple album, all of which are still in print today. In 2002 J.D. was invited to perform his now classic “Missing You In St. Louis” at the 20th anniversary of the Vietnam Memorial (“The Wall”) in Washington D.C. and he donated the recording to be used on the CD that is sold at “The Wall” to raise funds for the memorial. Much to the delight of his adoring and respectful fans, J.D. is still performing and recording and is planning a limited world tour in 2013 and 2014. The U.S. dates may include a re-visit to the old Kiel Opera House in St. Louis, Missouri, which was re-furbished and re-named and is now The Peabody Opera House, and is where J.D. recorded his “Live In St. Louis” album in 1982. When a show opens it should build steadily toward a grand finale and J.D. 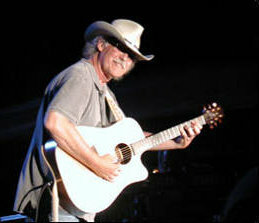 Blackfoot has saved his stunning masterpiece, the triple CD set titled “The Legend of Texas Red” for last. This two hour and fifteen minute saga, in audio book and music album combination is the crowning achievement in a career that has spanned a half century. When you ask a J.D. Blackfoot fan why they think that he’s so special, they will tell you that it’s because his very distinct guitar sound and soothing voice takes them on an amazing journey. An incredible lyrical journey of laughter one minute and tears the next that gives them a chance to escape the ordinary, and to just sit and listen to a storyteller that they see as something wonderfully different and very special. Given the opportunity to sit and talk with J.D. Blackfoot it doesn’t take you long to realize that there is nothing the least bit ordinary about this singer/songwriter. When other artists from the 70’s were running out of any new ideas to write about or record, J.D. Blackfoot has, in the back half of his career, written and recorded with a flurry of new and interesting material that has become a very impressive lifetime body of work. J.D. wisely bought back the rights to everything that he had recorded with all other record companies and now has the distinct advantage of owning the rights to every album that he has ever recorded. He has released the old titles along with all of the new titles on his own Yonder Music Ltd. label, which is a New Zealand based company operating in the U.S.A. as yonderltd.com. Yonder also owns the Sisapa label, and J.D.’s self owned publishing company, Tokala Music Inc., now owns the copyrights to every song that he has ever written. In the early years on the Mercury label (1969), and then the Fantasy label (1974), and every label in between or after, everyone kept telling J.D. that he should learn to write shorter more commercial songs. But he chose to take the path of the true artist and just kept writing and recording his lengthy opus’s his way. Forsaking early commercial success and sticking to his artistic guns has finally, after almost half a century, catapulted J.D. Blackfoot into musical history as a one of a kind, legendary story telling, recording arts icon. Not by yielding into becoming a more commercial writer, but by stubbornly daring to be very, very, different. In the midst of all this activity, he found and married the love of his life, the former Eileen Perry.“The night I first saw her,” Blackfoot said, “I looked across the room and pointed her out to the person I was sitting with. I said,‘There’s my future wife.’ ” They hadn’t even met yet. “That was on July 26, 1995,” Blackfoot remembered. “A year to the day later, on July 26, 1996, we were married.”Blackfoot needed no spiritual nudger for that decision. He was certain as anyone can be that spending the rest of his life with Eileen was going to be one of his best moves he would ever make. Let’s discuss about how you can be sure that drugs you purchase through a mail-order drugstore are foolproof. Antabuse treating alcoholism addiction in adults, as part of a recovery treatment program. Again it may also be used to solve other appeal as determined by your druggist. Few drugs are used to treat inability to get an erection. Kamagra is a remedy used to treat different upsets. What do you have to read about http://herballife.biz/levitra-online? Very likely every adult knows about Levitra Online. More info about Kamagra available at Buy Levitra online. Some men who drink excessively like cocaine find it troublesome to maintain an hard-on and turn to erectile dysfunction medications. So it’s substantial to know about the matter. While the treatment is credited with improving nausea, it may also kill the mood in bedroom. There are various medications to treat erectile disfunction. Do not order medications like Kamagra from an online pharmacy that offers to write prescriptions or that sells drugs without prescriptions.